Innovative Aluminium & Glass is renowned for offering window and door solutions that are modern, stylish and enhance the beauty of your home. 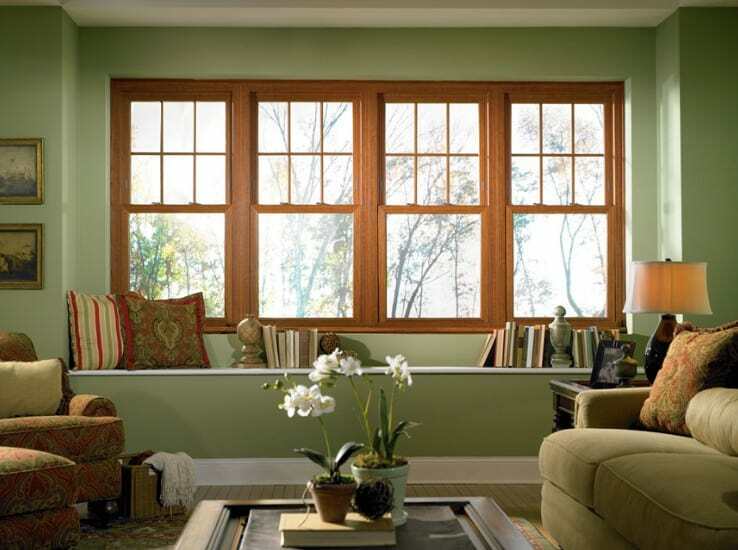 One of such amazing solution is our Double Hung windows. These windows offer the dramatic and attractive look of floor to ceiling windows. When choosing these windows, you can view our entire range of double hung windows that are available in many colours, configurations and designs. You can also choose whether you want the windows to be equipped with one moving sash and one fixed sash or two moving sashes. If you choose multiple sash option, you must know that in this option the windows will open in opposite directions, up or down. These windows can also be locked in an open position. You can also open only the top half and keep the bottom half closed. You have all the power. These windows are perfect for small rooms as they don’t take any of your living space via its doors (which is a component with normal windows). These windows are perfect for houses with small kids as the windows have no sharp corners and you can close the bottom half to prevent your little one from trying to crawl outside. You can decide how much air you want to let into your home by opening them halfway or completely while you are at home. The sash balancing system makes the windows easily operable by anyone including small kids and old people. You can also easily adjust the sash tensioners by using the conveniently located screws. The full joint sealing of these windows ensures that there is no scope for any dust to enter your home. It also offers protection against harsh winds and rainfall. You can add in locks to all the Double Hung windows by Innovative AG as we always have a provision for that. The adherence to stringent quality standards while manufacturing these windows ensure that these windows remain strong through the years and can protect you and your loved ones during tough weather conditions. All the double hung windows manufactured at Innovative Aluminium & Glass always pass Australian Standards and testing requirements to ensure a window that’s manufactured to keep the clients happy for years and makes them proud of their decision of buying double hung windows.